Junk Removal, Asheville, NC | Off Duty Fireman Construction Inc.
'); // });Junk Removal, Asheville, NC | Off Duty Fireman Construction Inc.
We offer junk removal for a variety of residential and commercial property needs. It has been said that junk multiples like rabbits – it seems to accumulate without you even realizing it has happened. If this has been the case at your Asheville, North Carolina home or business, the solution is calling us at Off Duty Fireman Construction Inc. It might seem odd to contact a general contractor for junk removal, but it actually makes perfect sense. We already have a system in place to dispose of construction debris, so why not handle junk removal, too? It really doesn’t matter to us if we’re dealing with junk that we created in a disaster cleanup or construction project or if its junk that’s accumulated in another way. The task is the same, and by offering junk removal, we are able to support our community. It is advantageous for you to contact us for this task rather than make numerous trips to the landfill, assuming you have a vehicle that can take small loads. If you have items that won’t fit in your truck or you don’t have a truck, our junk removal services are the best solution. Whether you are a homeowner looking to have debris from a DIY project or disaster cleanup removed, a developer needing junk removal during a project, or a commercial property owner needing to clean up a yard or other area, don’t hesitate to contact us to discuss the scope of your project and get a quote. 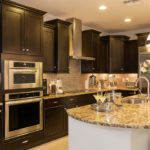 We are confident that when you see the effort that we put into customer satisfaction, you’ll turn to us for all your renovation and restoration needs.